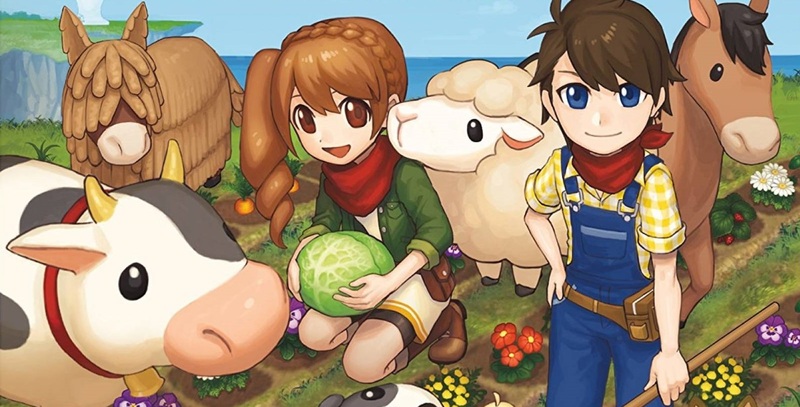 There are few genres more niche than farming simulator and farming like games out there, the Harvest Moon games have almost always had a fairly strong following in the west. Though the Harvest Moon series has always enjoyed a larger following than other games in the genre, recent entries in other series and some indie games have pulled the following away and with the issues between Natsume and Nintendo didn’t help matters much with the fanbase. 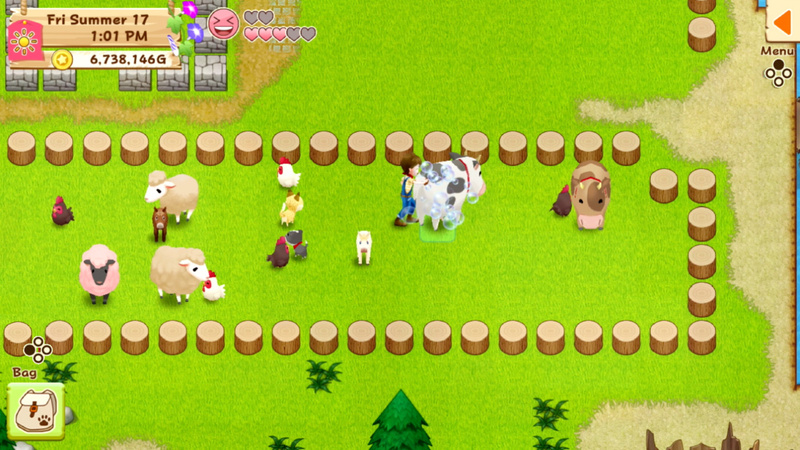 With the newest installment of the Harvest Moon franchise on the Nintendo Switch (also on PlayStation 4 and previously released on Steam), there are several worrying aspects about the series. 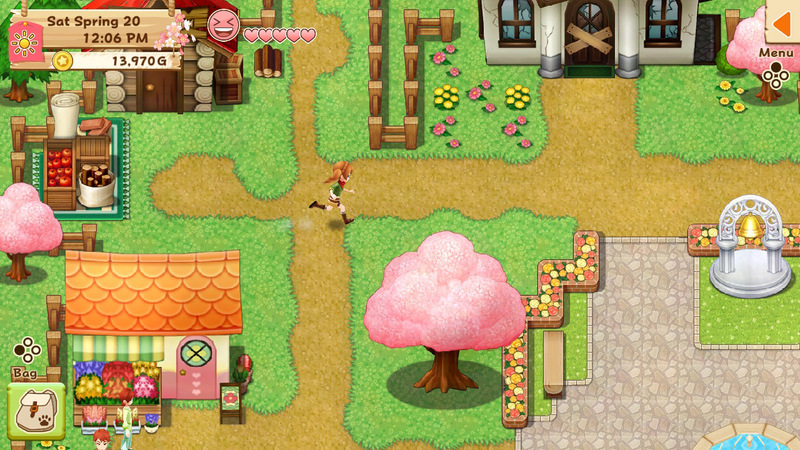 Harvest Moon: Light of Hope follows the general style of previous installments of the series. Namely, the player character comes to a town and inherits a run down farm and must work to reestablish the farm and make it successful. 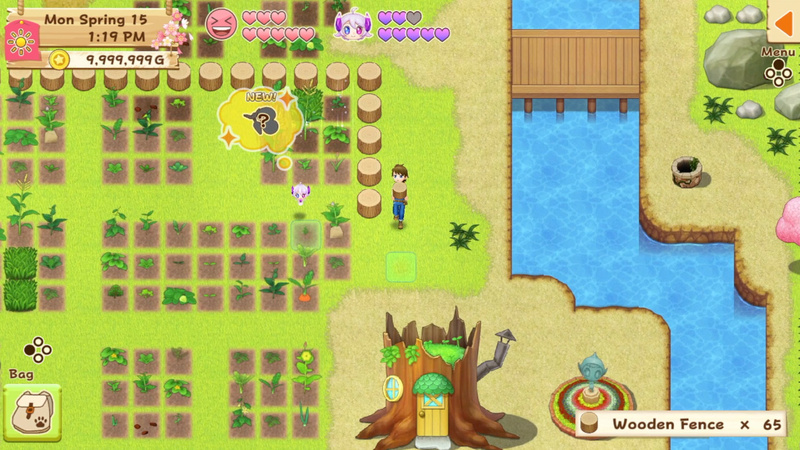 During the course of the game, the player will be able to partake in different festivals, marry a suitor, have a child, raise animals and harvest plants and materials on the farm and the surrounding area. Light of Hope still follows this general playstyle, but has been simplified drastically. 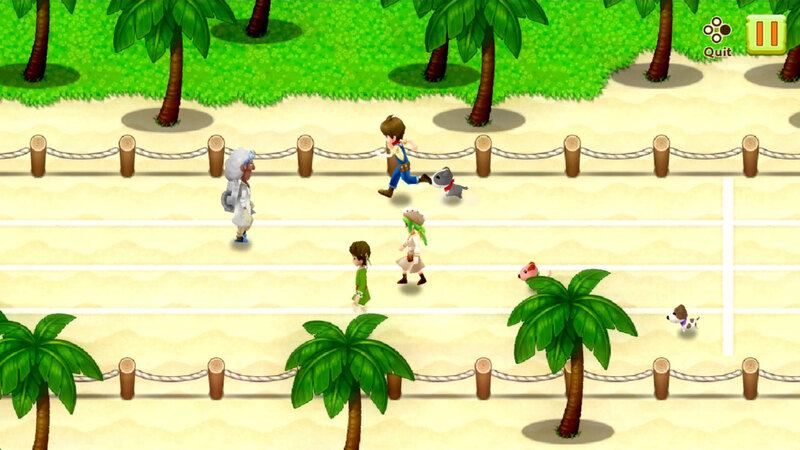 In this installment, the player need but press one button for all interactions in the game. When you’re near a square that can be tilled, press A and you will till it. Press A again to plant your seeds. Press A to water. Press A to use nutrients. Press A to harvest. Press A to chop wood, break stone, rebuild a house… you get the idea. You never have to choose the right tool for the job, as you will just automatically use the tool for job available. You never really have to think about it. This can cause issues if you’re very particular when setting up plots or how you want to water crops, as if you’re just out of range of something, you will end up spreading nutrients where you didn’t want to or harvesting something you didn’t want to – such as cutting down a tree when you’re low of energy or watering a crop when you were wanting to water several at a time. Along with that, you do a lot of things just automatically. When you go to cut down a tree for example, your character will sit there going through the motions of cutting the tree with just a single button press and you will use all the energy needed to complete that action. You can’t just cancel out of an action once it has started. If you have played previous games in the series, or even a game such as Stardew Valley, you have basically played Light of Hope, for better or worse. Normally, I would be all about this type of game, as they are usually fairly fantastic “wind down after a long day” type games. Getting lost in mining, planting and harvesting crops, fishing – they’re just really chill games to waste some time with. But with how simplified the game is, it just didn’t have the magic or the fun of other titles in the genre. Normally you would have to figure out the best crops or animal product items to fund your farm and build things up. But Light of Hope all but throws money at you in the form of gems you can easily farm up in the mine. There is a cost in terms of refining them, but they sell for a lot and they are relatively plentiful. The general gameplay of previous games and other games in the genre is here, but all just comes across as lacking and uninspired, especially in light of other games that have come out in recent years that just do everything Light of Hope does, but better. Speaking of lackluster, I can’t ignore just how awful Light of Hope actually looks. Not because the graphics are bad, because they’re not. But because the game looks like something someone threw together with flash. I realize that the game came out earlier on the PC, but that was only just last year and for a game that is on the PlayStation 4 and Switch, this is just honestly an insult. The game doesn’t just look like a flash game, it looks like a cartoonish flash game and the character portraits and reactions don’t help this impression at all. The game is over the top in terms of the goofy anime reactions. At times, I couldn’t help but be reminded of Teen Titans go and just how badly these reactions are and how poorly they fit with the feel of the game. But I guess they fit with the flash like animations, and that just saddens me. Storyline wise, expect a basic one. I did enjoy the elemental-ness of the sprites and how, as you released more sprites and did more to revive the island you’re on, more areas are opened up to you, but it was hardly inspired. The basic premise of the game is that, during a storm, you are washed up on a dying island and saved by one of its inhabitants. Once you’re given a run down on the abandoned farm, one morning you come across the first of the harvest sprites and one of the keystones for the broken light house. By a stroke of luck, you are the only one capable of communing with the harvest sprites, no one else can hear or even see them. As you restore more homes and more people move back to the island, more sprites will be awakened, culminating with the revival of the Harvest Goddess. You will be able to complete the entirety of the storyline in one year of game time. That’s.. an incredibly short amount of time in this genre for completing the general storyline. Most of the time, not always, but most of the time, the general storyline in these games will take a few years in game time to complete the narrative to the point where all you need worry about is just farming, mining, fishing or finding a significant other and having a child. The fact that the main story is just a year long is terribly disappointing. 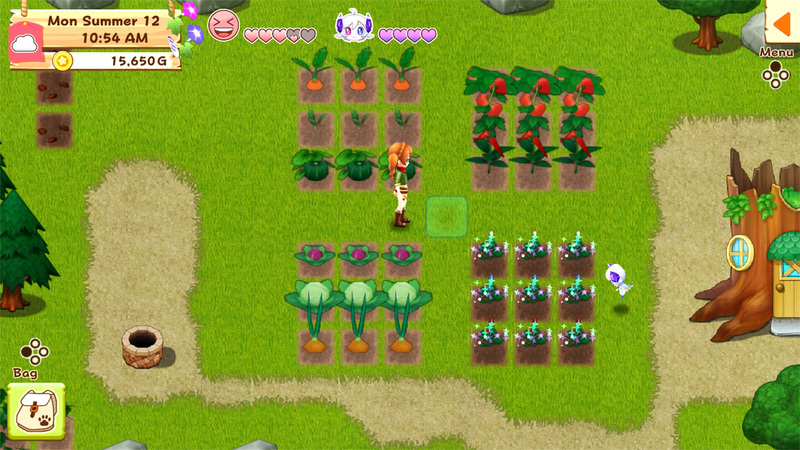 Had Natsume learned from previous internal entries in the series and from more recent entries in genre, Light of Hope could have been a fantastic farm and life sim. However, there were some very disappointing design decisions that seriously hampered this entry in the series, especially being its first installment on current gen systems. As it stands, this is a very disappointing game and there are other games on both systems that can scratch the farm sim itch, if you’re feeling it. Even at AA title pricing, there’s just really not many reasons to pick up Light of Hope, unless you just feel some dedication to the series as a whole, but honestly? Your hard earned money is better spent elsewhere. 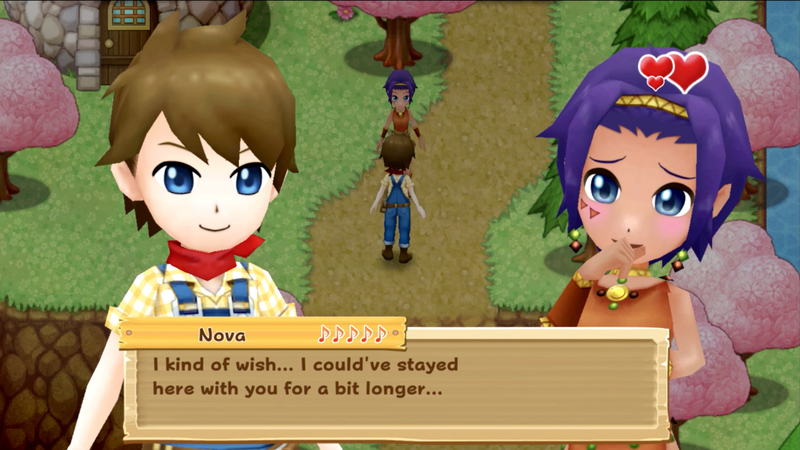 Harvest Moon: Light of Hope was reviewed on Switch using a review copy purchased by Niche Gamer. You can find additional information about Niche Gamer’s review/ethics policy here. There are load times. In a flash-styled game. Inexcusably long load times. In a flash-styled game.